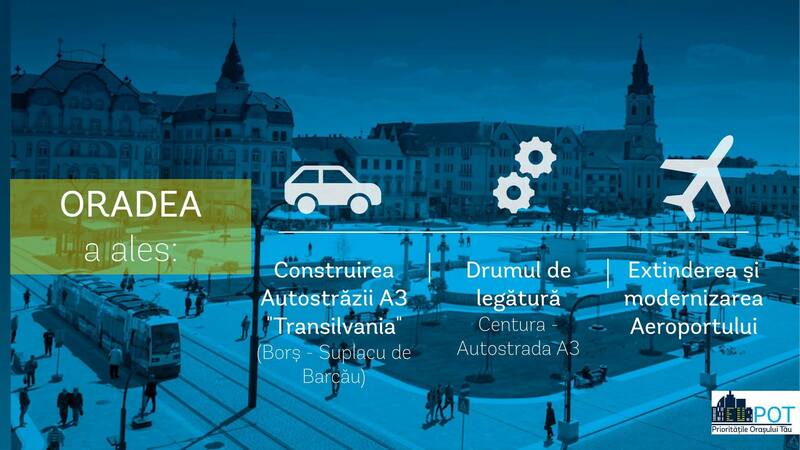 Nagyvárad/Oradea citizens have chosen: the top infrastructure development priorities should be the construction of the A3 Transylvania motorway, the city bypass, and the modernization of its airport. More than 3,000 citizens have taken action and voted for the city’s priorities during the “Choose the priorities of your city” campaign initiated by the World Bank in partnership with the Romanian Federation of Metropolitan Areas and Urban Agglomerations (FZMAUR). The campaign, which started at the end of January and ended on March 22, served as an open invitation to all Nagyvárad/Oradea citizens to vote for key strategic investments proposed by the municipality. Locals took an online survey and prioritized the ten proposals. The campaign was organized in all 40 country municipalities, and each city had its own proposals. 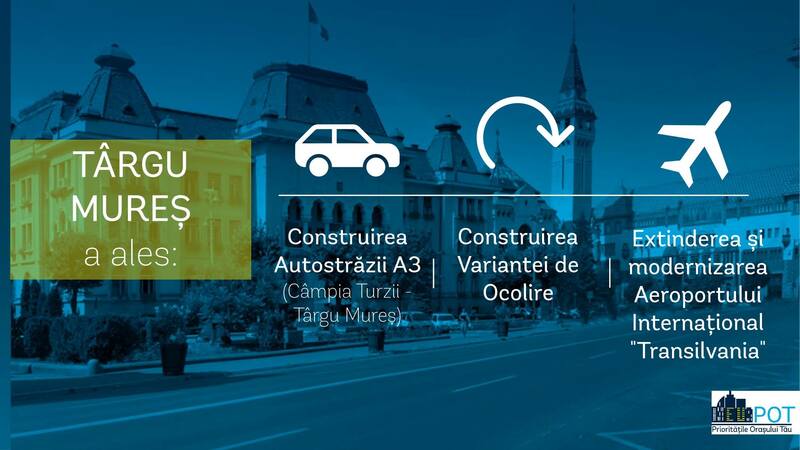 The priorities for Marosvásárhely/Târgu Mureș and Nagyvárad/Oradea citizens were a match, because for the locals of both cities the top priorities are the building of the A3 motorway, along with the beltway connecting it to the city, and the modernization of their airport. Kolozsvár joins the line with the A3 motorway among the top priorities. The estimated value of the motorway construction is €220 million for Nagyvárad/Oradea, €200 million for Kolozsvár/Cluj-Napoca, and €280 million for Marosvásárhely/Târgu Mureș. This doesn’t mean the World Bank is about to fund the investment, as the main aim of the campaign was to harmonize city development ideas with the expectations of the locals. The organizers say the results will play an important role in key decisions about the investments planned for a certain urban region. While this was a nice initiative, the number of votes still shows that, for some reason, neither the authorities nor the organizers have managed to reach a critical mass. For example, Nagyvárad’s population is estimated at 222,000 (which compares to 3,000 votes), and there are no public numbers for the participants in Kolozsvár or Marosvásárhely. On a national scale, the number of votes surpassed 100,000, which is still low compared to the 18 million registered voters and 19.3 million connections to mobile internet, according to the latest figures released by ANCOM.